Flipsky will be one of those looking for a home at the MADRA Adoption Day. Photo: Selfie by Flipsky. 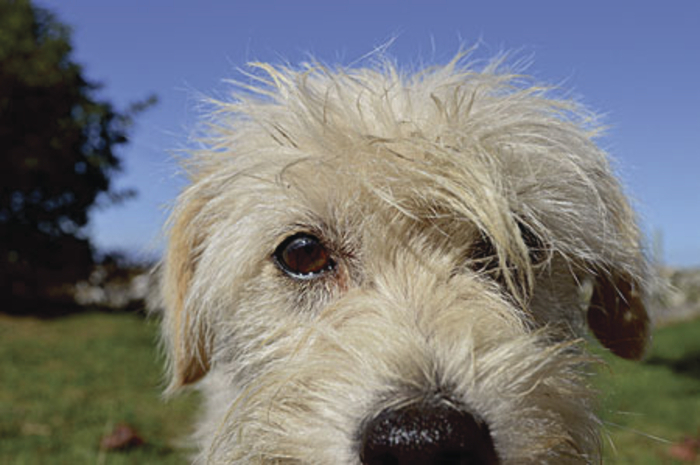 MADRA Dogs will try anything to find a new home, including spending hours trying to capture their best selfie. No, really it was taken by Gillian Hunter. The Sports Hall at Galway-Mayo Institute of Technology (GMIT ) on the Dublin Road will provide the venue for the MADRA dog adoption day this Saturday, October 4, from 12 – 4pm. The event is being organised by the dog rescue group MADRA to help find new homes for the many dogs of all shapes, sizes and breeds currently in their care. The dog adoption days have been extremely successful for the Galway-based dog rescue charity to date, with as many as twenty dogs and pups finding homes at previous events. Visitors on the day can meet each dog and find out more information about the dog’s personality and activity level, as well as the type of home that will suit them best. Those interested in adopting a dog on the day will be asked to complete an adoption questionnaire and a home check is required. Speaking about the event, MADRA spokesperson Eileen Keleghan commented, "While we have great success in finding homes through our website and Facebook page it is sometimes hard to capture a dog’s personality with a write-up and picture; meeting the dog at an adoption day helps potential new owners to get a better idea of the dog's characteristics and requirements. "People come from far and wide to meet our dogs, and many end up finding their perfect canine match at an adoption day", she added. All dogs are micro-chipped, vaccinated and neutered before going to their new homes and an adoption fee of 150 euro is recommended. MADRA is a dog rescue charity based in Camus in Connemara. Annually the charity rescues over eight hundred dogs, the majority from local authority pounds. Visitors are asked to make their way to the north entrance of GMIT (second entrance after the roundabout ) where they can access the car park for the Sports Hall.